I have mentioned in the past about the whole Piper-Wright debate on justification. I have also shared how I have read both books: Piper’s The Future of Justification: A Response to N.T. Wright and Wright’s Justification: God’s Plan and Paul’s Vision. And I do hope to one day write a multiple article series in which I compare, contrast and analyse the two views on justification. But below is a quote from N.T. 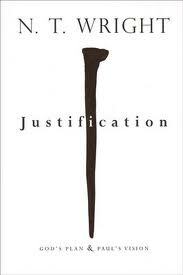 Wright’s book on justification, particularly looking at what first century Jews were most concerned about theologically. This entry was tagged age to come, books, heaven, justification, N.T. Wright, quotes. Bookmark the permalink. Good quote, I always appreciate how Wright reminds us that our debates are worth having but we cannot equate them with the debates of Jesus or Paul and so forth. They argued over very different subjects at times.